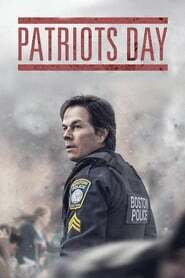 Second film by the Director Peter Berg, Patriots Day brings back the American Tragedy that happened in recent past. From the very first scene till the very end, this movie depicts how the country suffers from a state of shock and immense pressure to deal with the horrifying situation. 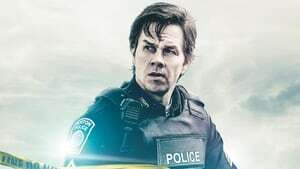 The amazing cast comprising Mark Wahlberg, John Goodman, Kevin Bacon, Michelle Monaghan and ever green J.K. Simmons have done some of their best work in this film. The strong storyline based on true events that took place back in 2013 and strong cast makes this movie a good watch. The story starts with two brother Tamerlan Tsarnaev and Dzhokhar blowing up bombs during a marathon which spreads an expected panic all over the country. 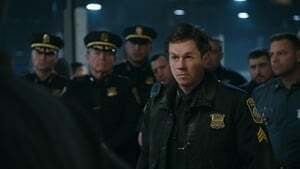 To investigate this bombing situation, Richard DesLaurier an FBI Special Agent collaborate with the Ed Davis, Police commissioner of Boston and Jeffery Pugliese, Police sergeant of Watertown while Tommy Saunders, another Police Sergeant deals with the victims of the incident to collect evidence and to help the injured. During the investigation, the FBI analysts identifies Tamerlan and Dzhokhar as main suspects, from the footage of the marathon. However, due to lack of solid evidence DesLauriers is not in favour of releasing their pictures to public. Things do not go as per plan when the images of suspects are leaked to the press and DesLauriers has no choice left but make these pictures official, while Pugliese’s team is spending day and night searching for the duo. While everyone search for the suspect, Tamerlan and Dzhokhar carjack Dun Meng, who is a local student, and reveals their plan of blowing another bomb within the New York. 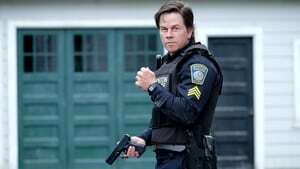 The movie takes a turn when Dun manages to escape the car and calls police to inform location of the suspects which leads to the police encounter with both brothers. The shootout leaves several police men injured and Tamerlan dies after getting injured by Pugliese and later run over by his own brother who manages to escape the entire situation. Tamerlan’s death leads the investigation team to his wife Katherine, who is under investigation to reveal whatever information she has about her husband plans; however, it seems like she is not the one who is going to break. There are some thrilling moments that keep the viewers on the edge of their seat. Berg has managed to capture the stock that people face under a terrifying situation like this. While the moments post the blast leaves the viewers with the pain of loss, the sheer number of people working, investigating and surfing through the mobile and CCTV footage keeps everyone inspiring about the load of work police and FBI goes through to bring peace back to the country. 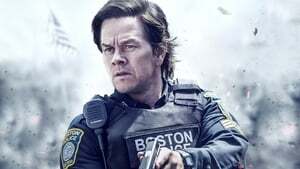 Though the movie is little big drag and could have been a little bit tighter, still it grabs the attention of the viewer to find out if all the efforts lead everyone to stop the terrorism from the country by capturing Dzhokhar or everything goes in vain.